Yikes!! It’s been two weeks since I posted?? Time sure can fly. Its been a crazy two weeks with no time to play in the kitchen!! (Thank heavens for frozen left overs). 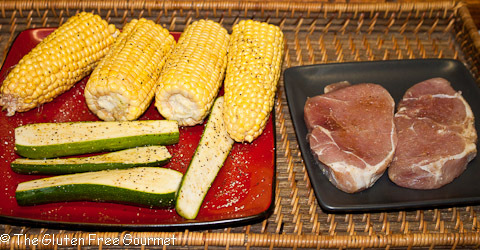 But I’m back and ready to share – So how about a complete meal – made (almost) entirely on the grill? Lay out vegetables and pork chops. Sprinkle all with sea salt, old bay spice and lemon pepper. Sprinkle garlic powder on the chops. 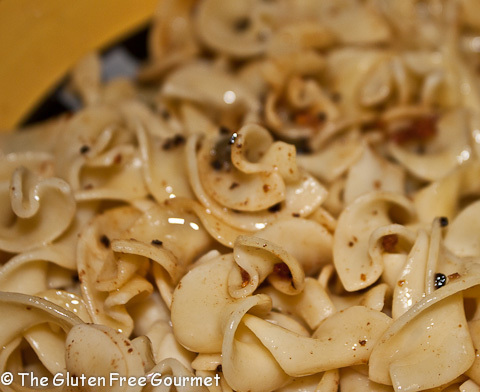 Melt butter in a small saucepan and add all three cloves of garlic, crushed. Simmer on low until the butter starts to brown, then set aside. Heat the grill on high then turn to medium-high. 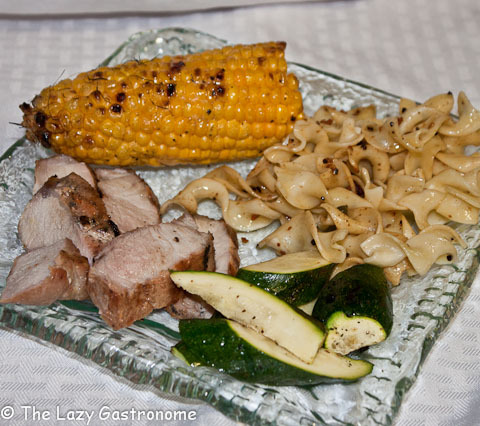 Add the pork chops and corn and cook about 5 minutes, then turn. 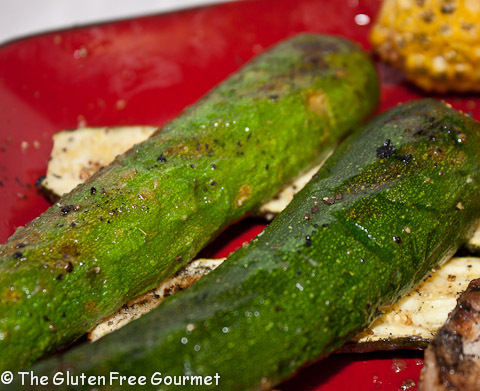 When you turn, the chops add the zucchini. Continue cooking until the chops are cooked through and the vegetables are starting to soften. Heat the noodles and the butter. Add the capers to the butter sauce and toss with the noodles. 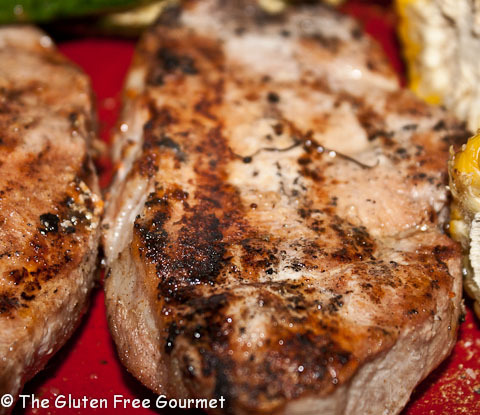 Slice the pork chops and serve! 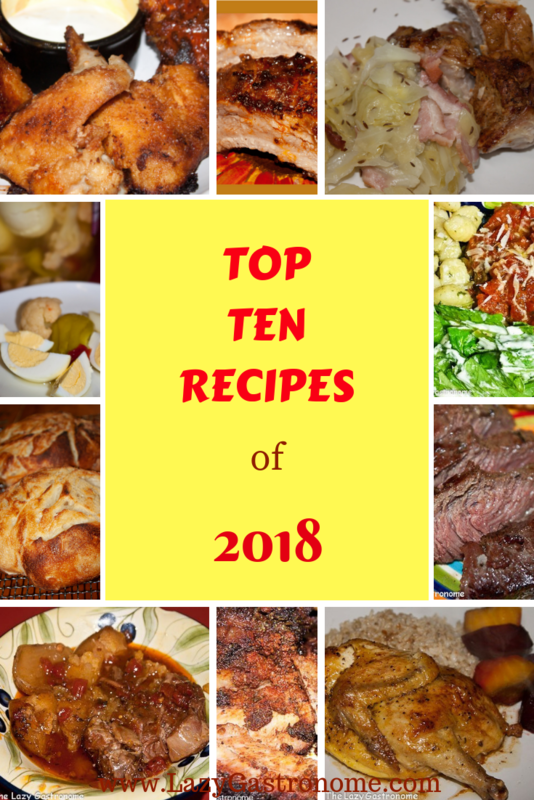 This entry was posted in Corn, Fruits and Vegetables, Main dish, Pasta, pork, Side Dishes, Vegetables, Zucchini and tagged corn, grill, main dish, meal, noodles, pork chops, zucchini. Bookmark the permalink. This looks really good. 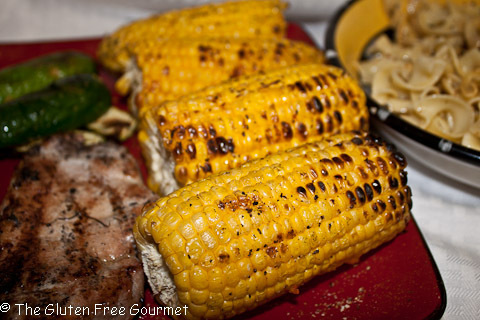 I just had corn on the grill for the first time the other day (don’t judge me) LOL! 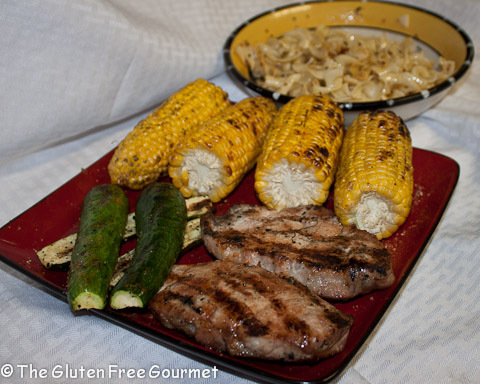 My husband does not like to grill at all (too many bugs in Iowa) but we do love the taste of grilled food. The zucchini looks amazing too. People have been giving me a lot of it lately. Thanks for sharing at #HomeMattersParty I hope you will share again next week!